Phil Hanson competes in the Le Mans 24 Hours next weekend (16-17 Jun) aiming for success in the LMP2 category. The 18-year-old BRDC Rising Star shares a Ligier JSP217 entered by Anglo-American team United Autosports with Filipe Albuquerque (POR) and fellow Briton Paul Di Resta. Berkshire-based Hanson became the youngest overall finisher in the 94-year history of the annual Le Mans race on his début last year by placing 11th. Hanson, who is racing with Leeds-based United for the first time this year, co-drives regularly with Albuquerque in the European Le Mans Series and shared the Gibson-powered Ligier with ex-Formula 1 driver and former DTM champion Di Resta in the Sebring 12 Hours (USA) three months ago. While the 10 faster, more powerful LMP1 category cars are likely to fill most of the top overall positions at the chequered flag at 3pm (local) on Sunday afternoon, the #22 Ligier of Hanson/Albuquerque/Di Resta, will be bidding for honours in the ultra-competitive 20-car LMP2 class amongst the capacity 60-car field. At the recent official test (3 Jun), the one and only opportunity drivers and teams get to practice on the 8.47-mile track, the #22 Ligier set the sixth quickest time in LMP2. Le Mans marks Hanson’s fifth race of 2018 having contested a 24 hour race (Daytona), a 12 hour race (Sebring) plus two four-hour races (Paul Ricard & Monza) and is his only scheduled FIA World Endurance Championship event this season. The race is organized by the Automobile Club de l’Ouest (ACO) and is held on the Circuit de la Sarthe which contains a mix of closed public roads and dedicated sections of racing track, in which teams must balance the demands of speed with the cars' ability to run twice-around-the-clock while remaining free of crippling mechanical failure. Monday 11 Jun: Scrutineering 1150-1220. Wednesday 13 Jun: Free Practice 1600-2000; Qualifying 2200-0000. Thursday 14 Jun: Qualifying 1900-2100 & 2200-0000. Saturday 16 Jun: Warm-up 0900-0945; Race 1500. 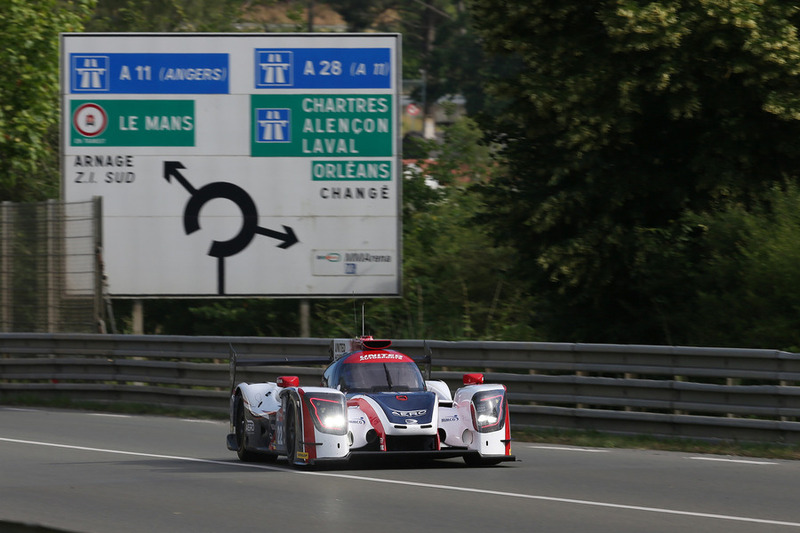 "The Le Mans 24 Hours is unquestionably my biggest and most difficult race of the year. It’s the hardest race because of the duration but also as it attracts the best drivers in the world combining to make it very tough. I first went to Le Mans in 2016 when I drove an Audi GT3 sportscar in the supporting Road To Le Mans event then made my 24 Hour race début last year. I started to be aware of Le Mans when I was karting in 2015 but until I competed in the main race last year, I had no idea just how big the event was! It’s not my all-time favourite track but it’s up there. I love the Porsche Curves while I’m not a big fan of the final chicane as I always fear for the car over the curbs. The most challenging is Indianapolis. Racing in darkness was the most difficult element of last year's race for me, my first-ever 24hr race, because without stating the obvious, you cannot see the reference points for braking and turning in [to the corner] at night so that took me time to adjust to. “This year's LMP2 field looks like being mega competitive, top drivers and top teams – the majority very experienced at Le Mans. I start every race looking to win and I believe the Ligier will be stronger this year. United managed fourth in LMP2 last year on the team’s début which was an extraordinary result. With Filipe and Paul in ‘my’ car I’d suggest our #22 Ligier has one of the strongest driver line-ups so we’ll be in contention. What I found last year was the intensity of the build-up to the race during the week, it’s draining. With scrutineering, engineering meetings, PR activities, practice until midnight on Wednesday and Thursday evenings which are followed by debriefs, and the Drivers’ parade through the town centre on Friday evening. Then it’s time to race! All of that is actually tougher than the race itself. This time around it’s nice not to have it being foreign to me and will make it a lot more ‘comfortable’ to know the track and what to expect with regards to pacing myself through the week.